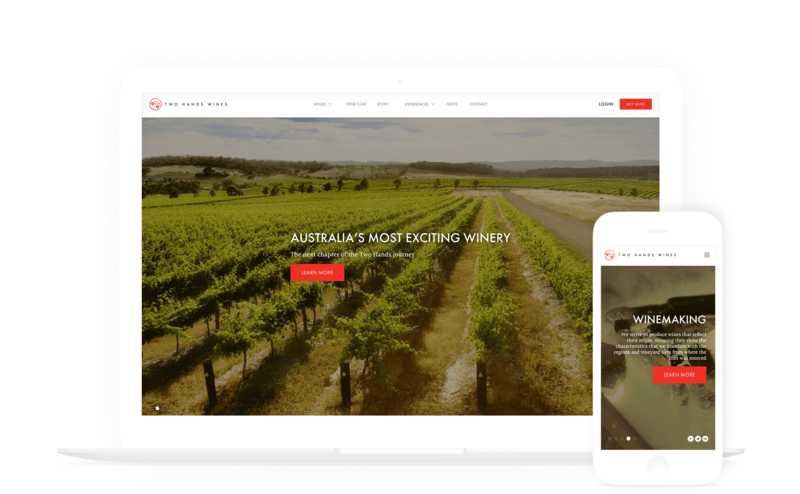 Redeveloped website with eCommerce solution and greater ability to capture user information for Australian winery. By the end of 2004 a state-of-the-art winery was built, specifically designed for small batch handling and the journey of Two Hands Wines continued to grow to where they are today. Two Hands Wines wanted a stand-out site. 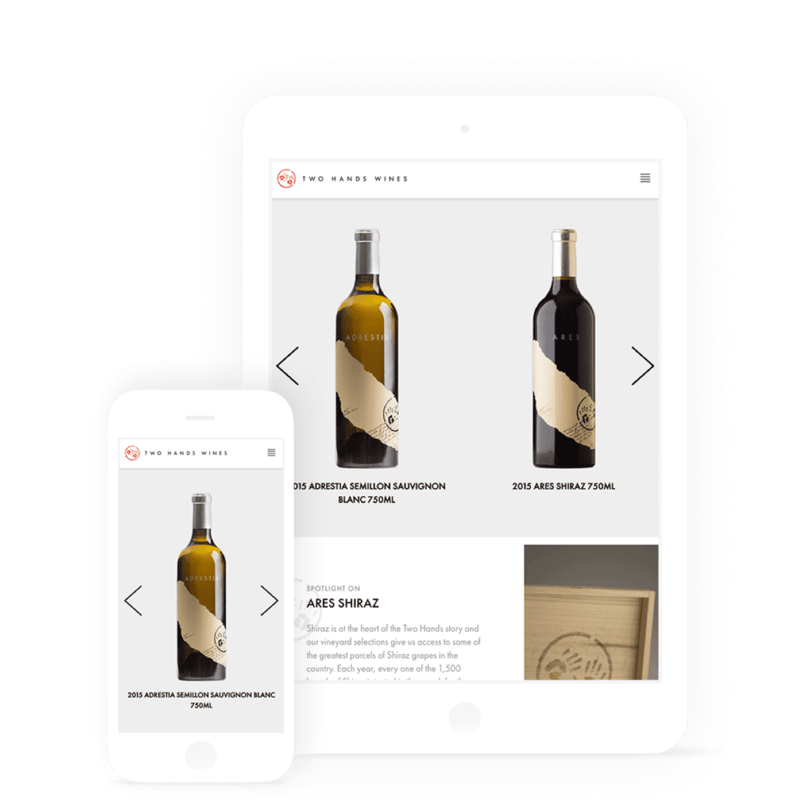 With many wineries producing the same style of website, the Two Hands team wanted to apply their ‘quality without compromise’ approach to their digital channels as well. The site brief outlined the need to showcase the products Two Hands Wines creates but also take a user on a similar journey to what they would experience if they were to come tasting at cellar door. Obviously, the wines were to be the main focus but the site also needed to have a robust eCommerce solution for purchasing, a stronger presence for the wine club (showcasing benefits and features) plus a greater ability to capture user information to boost their existing and potential customer database allowing a far higher level of CRM. The eCommerce solution scoped and created by The Digital Embassy allows users to do more than simply purchase a bottle. Through a better designed site flow, they can see the various ranges, read about each bottle and then visit a dedicated cart page for each product. That page contains drop downs for Tasting Notes, how the wine is made, details on the vintages, reviews and tech info. The pages also contain easy ‘one click’ options for the amount you want to buy and the ability to add cases. The checkout gives you a simple summary, options for shipping and payment methods that allow you to review and add/remove items at your discretion. In their continued pursuit to rise above the ordinary, Two Hands Wines wished to introduce an online booking system allowing future visitors an opportunity to book a tour option from their unique selection of vineyard experience packages. Users are able to compare and select packages, review the wines included as part of each tour, read the appropriate terms and conditions and make a secure payment for their selected date with information provided on tour times and an ability to add multiple members to their party. 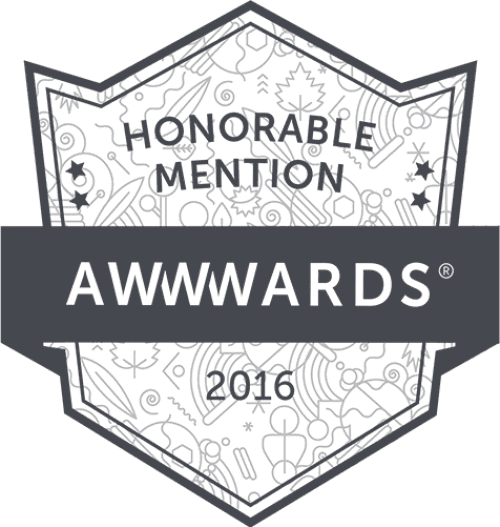 This vineyard experience offering is unique to Two Hands Wines and continues to grow their website to meet the ever evolving needs and services of their business to provide their customers with an experience befitting their brand. 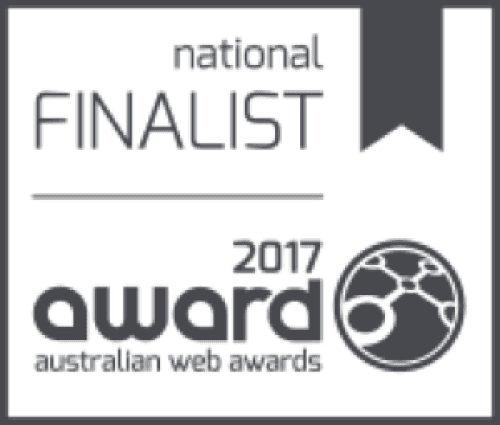 With browsing and shopping often done away from the desk computers, the Two Hands website is responsive in design to cater for the growing number of mobile and tablet users. Important information is re-laid out to maximise the different viewing platforms and allow easy ‘swiping’ to see the information and navigate throught to purchase. 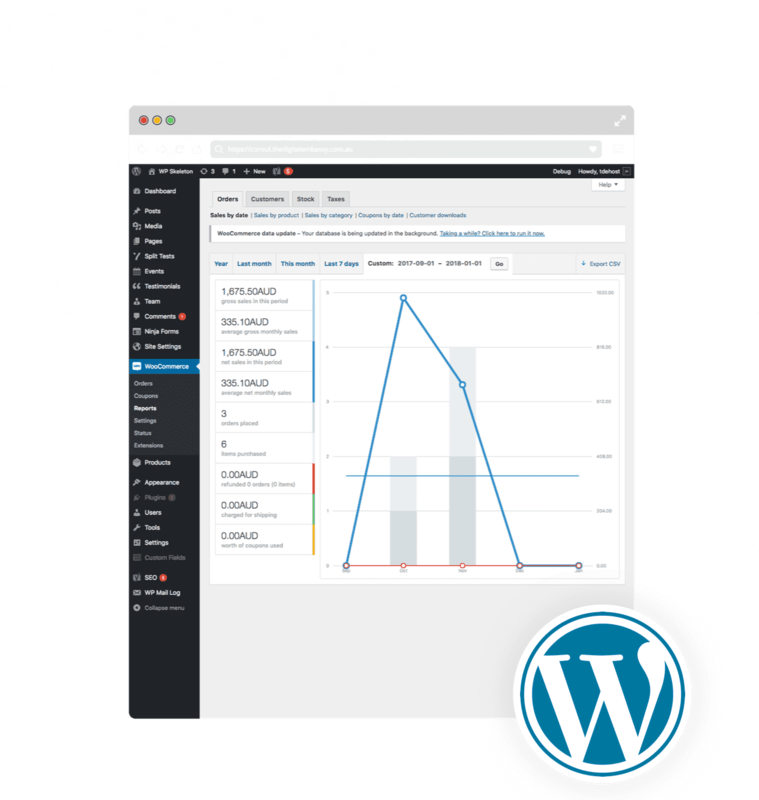 The Digital Embassy specialises in various CMS platforms. 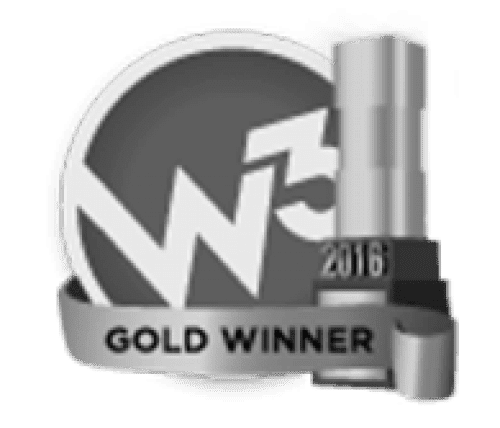 In consultation with Two Hands Wines, it was recommended and agreed that the most suitable platform for the new website was WordPress. 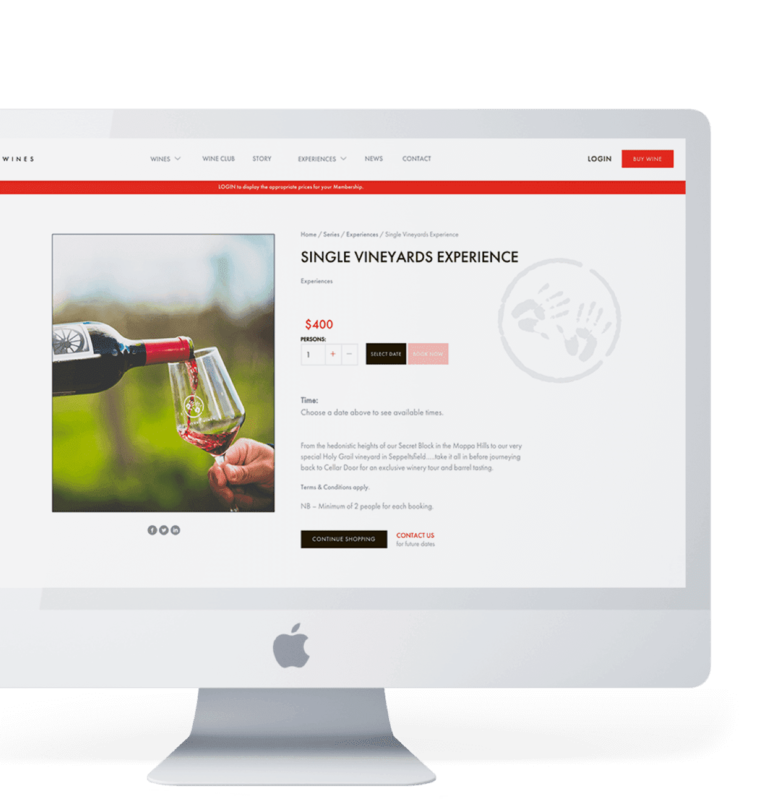 Boasting an easy to navigate CMS and existing plugins for blogs, contact forms and eCommerce solutions, WordPress delivers on all the requirements for the new Two Hands Wines website. 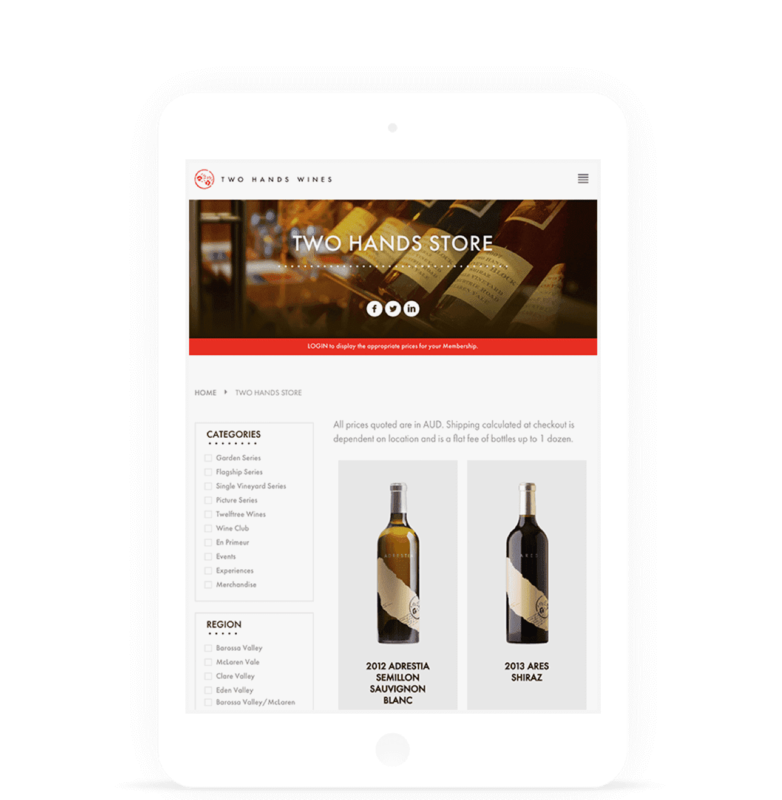 The Two Hands Wines brand now has a robust website that can not only facilitate all their direct online orders via the eCommerce solution, but can show their users a greater insight into what the Two Hands Wines brand stands for. It is an experience that they can enjoy through interaction both online as well as if they take the time to visit the cellar door at Marananga.